In a time when a King ruled England, and his knights rode into battle for glory and honour, a monster, the Bad, roamed the land, waiting for a chance to take power. The Bad had no real shape, but it had a purpose, and that was to feed on anything, then defeat the King and his army. The King asked the myths, legends, and folklore of England for help and all answered his cry. Led by an elder of the Faery folk, Elder Perennial Swallowtail, the mythical creatures joined the King's army to create a massive army of mythical creatures and man. After fighting courageously, the King, his army, and the myths, legends, and folklore defeat the Bad, but not completely kill it. Just a little bit survived. 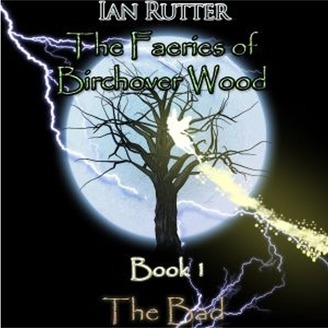 It's imprisoned inside the wood of Birchover, and there, it awaits for a time to escape and take revenge. And this time, it has some help. In our time, our modern technology cannot defeat the monster, the myths, legends, and folklore, are once again called upon to fight, but this time they have the life of a boy to protect. Destroy the Bad, and they destroy the boy. 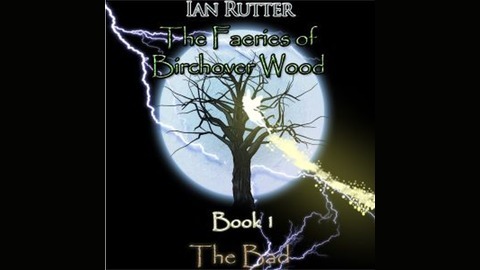 The Faeries of Birchover Wood is the first book of a four part series. The first book had been in the author's head for over twenty years, and it wasn't until his wife was pregnant that he was inspired to write the story for his son. Just a little poem that tries to incorporate a multitude of different creatures that have appeared in fantasy books, and faery tales. All the creatures named in the poem are actual names of faery tale creatures.